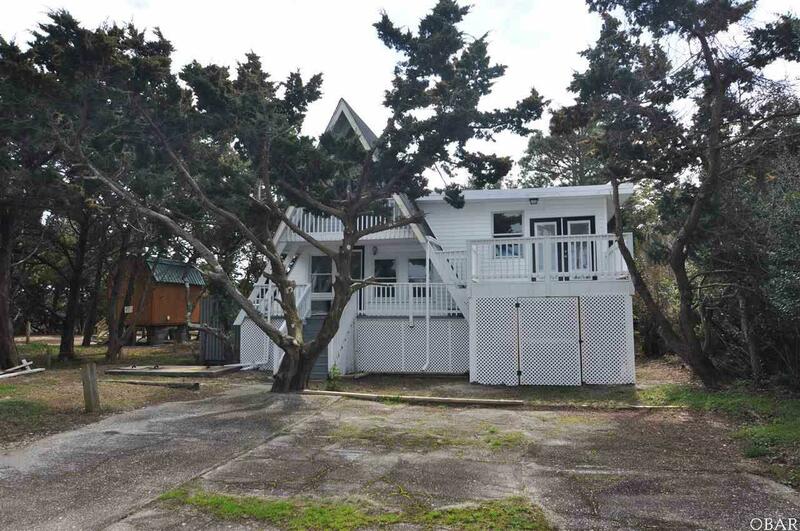 Pamlico Shore View is located one lot back from the Pamlico Sound (only one home and a narrow lane separate the subject from the water). 4 bedrooms (the two upstairs share a closet), 1 full bath, professionally decorated, new french doors to a sunny front deck, freshly painted, new light fixtures, kitchen cabinets, granite counter-tops, cook stove and flooring. There is a cozy, romantic, second floor covered deck with a view of the water. An affordable, open, airy and bright beach home with many windows and views from both floors! Location and interior layout ideal for vacation rental or year round living!